From the earliest beginning of Amateur Radio, Ham Radio operators have provided communications services to their local communities in times of need. Over the years, this public service aspect of Amateur Radio became ingrained in the very meaning of what it means to be an Amateur Radio operator anywhere in the world. 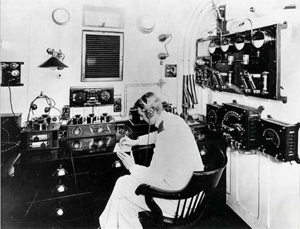 The American Radio Relay League’s slogan of “when all else fails” wonderfully describes the ability of individual amateur radio operators working with other Hams in their community or around the world to provide emergency communications when municipal, provincial or even national communications are no longer available. 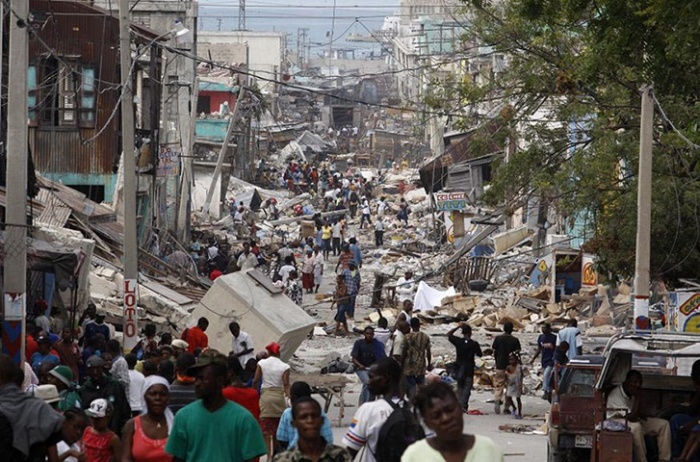 While disasters such as the World Trade Centre attacks or Hurricane Katrina or earthquakes which levelled parts of Sichuan province in China or the Haiti disaster of 2010 are fortunately rare, they do happen and Amateur Radio is there. ARES has always run with a bottom-up style of management with local clubs sponsoring ARES groups. Management of the local group is the responsibility of the local Emergency Co-ordinator who is appointed by Radio Amateurs of Canada. Section Emergency Co-ordinators assist local ARES groups with training and help establish a friendly and cooperative connection to other local ARES groups within the region. ARES groups often work together to provide mutual support when providing communications volunteers to larger events such as the upcoming Pan-Am Games here in the Greater Toronto Ares. The only qualification to be eligible for membership is a sincere desire to serve by certified (licensed) radio amateurs who have voluntarily registered themselves and their equipment. ARES in Canada is undergoing changes as it appears that Radio Amateurs of Canada is recognizing the failings of a top-down organization run by volunteer officials who attempt to manage other volunteers located in different communities and even different parts of the country. Much of the organizational chart of the RAC Field Operation is no longer relevant. Attempts to introduce standards of training and certification of operators also seemed to have failed and local ARES groups may wish to consider whether or not to introduce similar initiatives at their local level. While no one can say what the future will hold for RAC or ARES in Canada, it appears that changes are coming and the members of the Oakville ARC, for the most part, are optimistic about these changes and eager to continue to grow its ARES group. There are training manuals available but much of the material was written well in the past and both management changes and technological advances make much of this material irrelevant to ARES groups and their current needs. In the United States, ARES is part of the American Relay League. He’s a link to their ARES information. For more information about becoming an ARES member, please consider joining the Oakville Amateur Radio Club.